The militia is the final means of recourse in this cycle of self-government – and arguably the most important. Thus this is the first in a two-part historical series on America's militias. The second part, American Militias after the Civil War: From Black Codes to the Black Panthers and Beyond, looks at additional changes this American institution underwent from Reconstruction onwards. The vision of an American militia goes back even before the United States Constitution or the founding of the United States. In most states in colonial America, all able-bodied men were considered to be part of the militia – through which the individual towns and cities would provide for the common defense. Organized Militia: These are the forces that comprise the National Guard, which are the organized militia forces of each state. It is not synonymous with the National Guard of the United States, which is a reserve military force under joint control of the federal and state governments. Unorganized Militia: This is virtually every other man in the United States. Men are not part of the unorganized militia if they are part of the organized militia. All other able-bodied men between the ages of 17 and 45 are considered part of the militia. This is an important concept to remember, even as we work through the part of militia history predating this Act. In the pre-1903 Militia Act era, the line between the two is not so clearly defined. Many of the militias discussed below are organized and subject to statute, but not “organized” in the sense that they have official membership rolls, uniforms, or even significant involvement from their respective state and territorial governments. Much like the later independent or “Constitutional militia” movement, there is a rank, structure and a chain of command, but the organization is not necessarily subject to government oversight – other than having to comply with all relevant statutes. In the case of the militias of the Revolutionary War period, this is very fuzzy. The militia is an outgrowth of an English common law institution. The word itself dates back to 1590. Originally, the word simply meant soldiers in the service of the state. By the mid-17th Century, however, it had taken on connotations of a civilian military force. It carried additional connotations in terms of a military raised in temporary service to respond to some kind of an emergency. The early militias, on both sides of the Atlantic, served the purpose of both security and defense. These were particularly important in the New World, where attacks from hostile Indian tribes were a constant threat. Indeed, these militias played a key role in the French and Indian Wars, including the primary one taking place concurrently with the Seven Years War between the years 1754 and 1763. During these periods, militias organized by towns were also the pool from which the Provincial Forces were drafted. This was, in fact, a rare occurrence. The Provincial Forces were one of the best-paying wage labor opportunities available to American colonists, so their ranks were rarely short. While the Provincial Forces were very professional and disciplined, the militias were not. Indeed, no less an authority than George Washington (at that time the adjutant-general of the Virginia militia) noted that the militia was largely disorganized. He considered the militia fit for times of peace, but ill-equipped for times of war. Even during peace, the bulk of the colonial military were what are today Army Rangers – well paid, professional, highly disciplined, and accomplished. The militias, however, played a central role in the American Revolution. The famous “Minutemen” – figures as iconic as the cowboy in American mythology – are, in fact, personifications and embodiments of the militia as it existed during the time of the American Revolution. 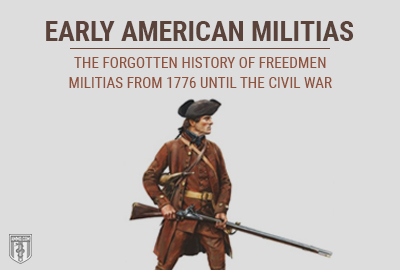 The history of the American militia cannot be discussed without talking about the Minutemen. These were effectively partisans in the war against the British, for which there is a subtle irony: The Minutemen harked back to the earliest traditions of the English countryside militia – ready on a moment’s notice. Indeed, the militia is perhaps the British institution that most shaped the United States and its culture. The British did not represent the entire militia, but the most disciplined and committed elements of it. They were, as the name implies, ready to go at a minute’s notice. They represented approximately a quarter of the entire force, and skewed toward the younger and more radical members of the revolutionary movement. The roots of the Minutemen (and of the militia in general) lie in the old British colonial militia. In the Massachusetts Bay Colony, all able-bodied men between the ages of 16 and 60 were obligated to serve in the militia. By 1645, possibly earlier, there were men selected specially for rapid deployment segments of the militia, known as “training bands.” The term “Minutemen” was even used during this period. These were organized on a town-by-town basis, with some towns, notably Lexington, not having special rapid response units. During this period, Minutemen could not be over 30 years old. Officers were elected by rank and file, as was generally common throughout the colonial militias. Fowling pieces were the most common weapon. Uniforms were nonexistent, with hunting gear being the most common form of clothing. The French and Indian War provided the irregular forces with training in proto-guerilla warfare that European troops were not familiar with. On the eve of the Revolutionary War, the Minutemen became something distinct from the rest of the militia, not simply its most committed segment. The Powder Alarm of 1774 underscored the need for a sleeker, more committed and more rapidly responding segment of the militia – the regular militia simply did not deploy quickly enough to prevent the British military from seizing materiel from the local ammunition stores and armories. 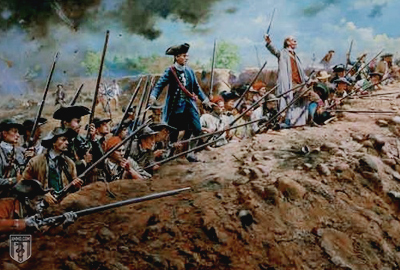 The British feared the power of the militias and the Minutemen prior to the Revolution. One of the strategic aims of the Intolerable Acts was to significantly decrease the power of town government. When General Thomas Gage, Governor of Massachusetts under the Intolerable Acts, attempted to seat his hand-picked court in Worcester, 2,000 militiamen prevented him from doing so. In response, Gage set out to confiscate provincial munitions. The militia responded in kind by assembling 4,000 men to the Cambridge common. From the very beginning of the revolution, the militias played a pivotal role, despite the fact that they were of limited utility. The Battles of Lexington and Concord started as a confrontation between the local militias and the colonial authorities. On April 19, 1775, 800 British troops marched out of Boston to Concord. They were unable to locate their target, the colonists’ arms and ammunition, which they were to confiscate. It was at 5 a.m. that they encountered 70 militiamen in Concord. They ordered the militiamen to disperse, but the militiamen refused. This is what led to “the shot heard round the world,” but to this day historians are unsure who fired first. On their way back to the city after being unable to find the arms and ammunition, the British were stalked and sniped by militiamen. The company was routed, and 900 additional troops were required to save them from the clandestine attacks of the Patriot militias. Throughout the Revolutionary War, the Minutemen model increasingly became the standard for irregular militia fighters. This provided the Continental Army with swelled numbers on short notice. While the Minutemen weren’t known as great marksmen, the psychological impact and distraction of their presence certainly helped win the Patriots’ cause. Scores of militias were culled from each of the newly independent 13 states, as well as Vermont, which was at that time its own independent republic and not one of the United States. While the revolutionary fervor was felt most strongly in the militias at the beginning of the war, this waned over time. After all, the Revolutionary War lasted eight years – a long time to maintain that level of enthusiasm. The militias elected their own officers and often used this to ensure that they would not have to serve outside of their home state. Often times, militia members hired replacements, and in extreme cases, exorbitant bribes were required to get the men to perform their militia duties. The currency became inflated over the course of the war, requiring land grants and promises of slaves at the war’s end. The militia was a hugely popular public institution at the end of the Revolutionary War. It was seen as the national defense of a free people, as opposed to a standing army. Most experts, however, did not feel that the militia had much in the way of actual military value in the event of a foreign invasion. Still, figures like George Washington were forced to support the militia publicly, while speaking of its limitations more privately. During Shays’ Rebellion, the role of the militia was transformed. This time, a militia was used to defeat a rebellion, rather than to fight the dominant power. There is a deep irony in the role exercised by the militia during Shays’ Rebellion, which was one of the factors in scrapping the Articles of the Confederation and replacing them with the Constitution. During the Constitutional debates, figures such as James Madison stated that the militia could be a check on the power of a standing army. However, in the case of Shays’ Rebellion, the militia acted as an instrument of centralized power and taxation. Militias in the service of federal power did not end with Shays’ Rebellion. President George Washington personally led a militia of 13,000 for the specific purpose of putting down the Whiskey Rebellion. Much of the military forces that fought the British during the War of 1812 were militia forces. This is part of why the United States exhibited such a dismal performance on the battlefield. While they were effective at battles in Plattsburgh, Baltimore and New Orleans, this was largely due to the entrenchment of the forces rather than their military abilities in their own right. It was after American defeat in the War of 1812 that the militia effectively ceased to be the primary means of defense, supplanted by the Regular Army. During the period between the War of 1812 and the Civil War, the state militias of the Southern states took on a new function: slave patrols. When slaves would run away, militias were raised out of the general population to look for them. This was effectively another form of forced labor, though militia service did come with pay. In the case of North Carolina, militiamen made 46.5 cents per day of service in 1826. In Missouri, the militias served another purpose – that of public order. Tensions between the Latter-Day Saints (Mormons) and the rest of the community around the State of Missouri ran high. So much so that there were anti-Mormon vigilante squads roaming the country, looking for Mormons to target. In 1838, General David R. Atchison ordered the state militia to "prevent, if possible, any invasion of Ray County by persons in arms whatever.” This led to the disarming and expulsion of Mormons in Northwestern Missouri. In response, the Caldwell County militia (a Mormon-heavy area) rescued Mormons expelled from these areas. The two state militias came into conflict with one another in what is known as the Battle of Crooked River. As funny as it might sound to us today, the State of Missouri took several precautions and preparations for a Mormon invasion of the state. This and other tensions led to the battle, which prompted an Executive Order expelling all Mormons from the State of Missouri. 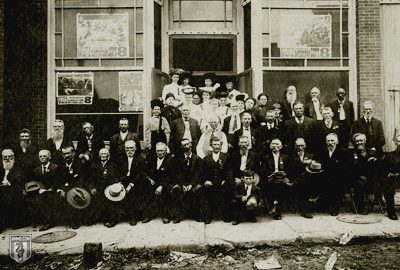 The Mormon community of the state then relocated to Illinois, before ultimately settling in Utah. For their part, the Mormons organized their own militia, which fought against the United States government in the little-known Utah War. The matter was eventually defused by negotiations, but not until 150 people died. This might not sound like a lot, but the Utah War lasted one year and the number of deaths was equal to the full seven years of “Bleeding Kansas” – which was likewise patrolled by militias in a sometimes fruitful attempt to keep the peace between pro-slavery and pro-free state forces. Another famous battle in the years leading up to the Civil War is John Brown’s uprising and attack on Harpers Ferry. 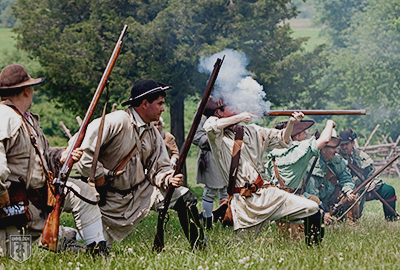 Every village and town in a 30-mile radius around Harpers Ferry had their militia activated. For his part, Brown did not think much of the capabilities of the state militias of Virginia and Maryland (nor, for that matter, of the Regular Army forces that might be dispatched against him). This factored into his planning of the uprising that ultimately resulted in nearly 20 deaths and precisely zero freed slaves. The final capture of John Brown was executed by a detachment of 88 United States Marines, however, the local militias played a key role in pinning down his forces. The War Between the States found each side ill prepared for the challenges that it faced. 75,000 militiamen were called up by President Abraham Lincoln to retake Fort Sumter. Lincoln considered the strength available to him far below what he actually needed. The problems with the militia system were not limited to the rank and file. The officers had no idea how to command a unit of this size, having never done so before. The Western states and territories largely used militias as a form of common defense and security. It’s worth noting that in the Western states, Americans had to deal with much larger Indian populations who were also much more hostile, particularly in the Plains. Later on, during the Civil War, many of these militias were organized into groups of Regular Army volunteers. However, in territories like Colorado and other free states, militias were organized not only to repulse invasions from Confederate forces, but also to prevent an uprising from pro-Confederate forces that might exist in the state. Some of the state militias had their moments of glory during the War Between the States. The Colorado Volunteers, for example, turned back a Confederate invasion of the New Mexico Territory. They later achieved further notoriety (and some infamy) for the Colorado War against the Plains Indians, which included the Sand Creek Massacre. The California Column were responsible for expelling the Confederate Army from the Southern regions or Arizona and New Mexico, as well as West Texas. They also kept the Mormon population of Utah under observation, as it was widely feared that the Mormons would use the opportunity of the Civil War to rebel and start their own independent nation. The reference to “Captain” Quantrill during the True Grit film are not without historical basis. Quantrill was given a field commission by the Confederate Army for his work as a guerilla fighter. This backfired when the Quantrill gang engaged in the Lawrence Massacre. Lawrence was the center of an abolitionist and Unionist organization. As such, it was a common target for Quantrill’s men, who numbered about 400. Frustrated by the constant raids, the Union authorities began imprisoning the wives of Quantrill’s men with an eye toward deporting them from the area. This is what led to the Lawrence Massacre. Quantrill’s men burned down a quarter of the buildings in the town in a coordinated attack. At least 150 men and boys were killed in the attack. One of the main targets of the Massacre, Senator Jim Lane, escaped by fleeting into nearby corn fields. The Confederate leadership could not abide such an attack and withdrew any support they had given to Quantrill and his men. Quantrill’s Raiders fled into Texan territory, massacring 100 Union soldiers at Baxter Springs along the way. He still enjoyed some support among the officer corps of the Confederate military, such as from General Joseph O. Shelby, “The Undefeated” who withdrew his troops into Mexico rather than surrender to the Union Army. In 1864, one of the Raiders was killed in a gunfight with a Texas Posse and lynched a sheriff in retaliation. Quantrill’s Raiders were a product of the Partisan Ranger Act. This is one of the most important pieces of legislation in the Confederacy. In effect, the law meant that partisan guerillas would have the same pay and command structure as the Confederate Army, but be able to act with broad leeway that was not afforded to the Regular Army. The law was repealed in 1864 under pressure from, among other officers, Robert E. Lee. While the strategy was largely effective, Lee and others were concerned about the effect of having many armed men without much central control. Two militias were allowed to continue after the repeal of the Act: McNeil’s Rangers and Mosby's Raiders. These groups of guerilla fighters were distinguished by their discipline and adherence to the accepted rules of warfare. The history of militias in the United States continues after the Civil War in American Militias after the Civil War: From Black Codes to the Black Panthers and Beyond, when it becomes a whole other ballgame.